Wendell E. Callwood had spoken to this news site expressing that he wanted the situation remedied as quickly as possible. He had said that despite the many complaints, nothing had been done up to a few days ago. Over the past days, infrastructure works on the island had left some residents and businesses without water. 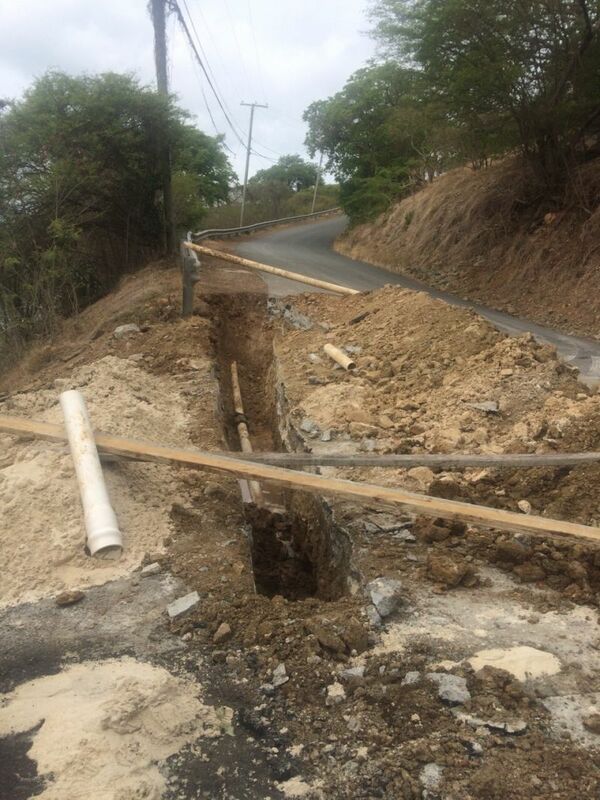 However, it was confirmed today August 2, 2015 that water service has been restored following the completion of works on the road. 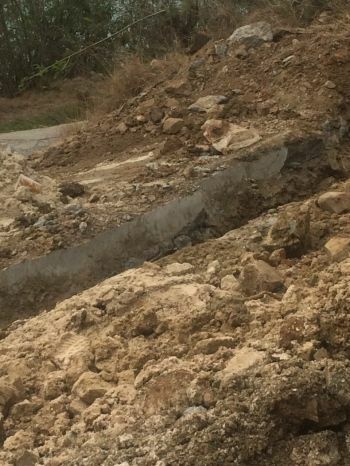 Callwood had told our newsroom that he spoke to some of the workmen on the site, even offering two of them a ride to Tortola with the hope they would return the next day to complete the works but they did not. This news site had seen photographs of the affected area which is said to be frequented by motor vehicles as it is in a busy section of the street near the ferry port. Repeated efforts to reach Second District Representative Honourable Melvin ‘Mitch’ Turnbull and Minister for Communications and Works Honourable Mark H. Vanterpool (R4) for a comment proved futile. 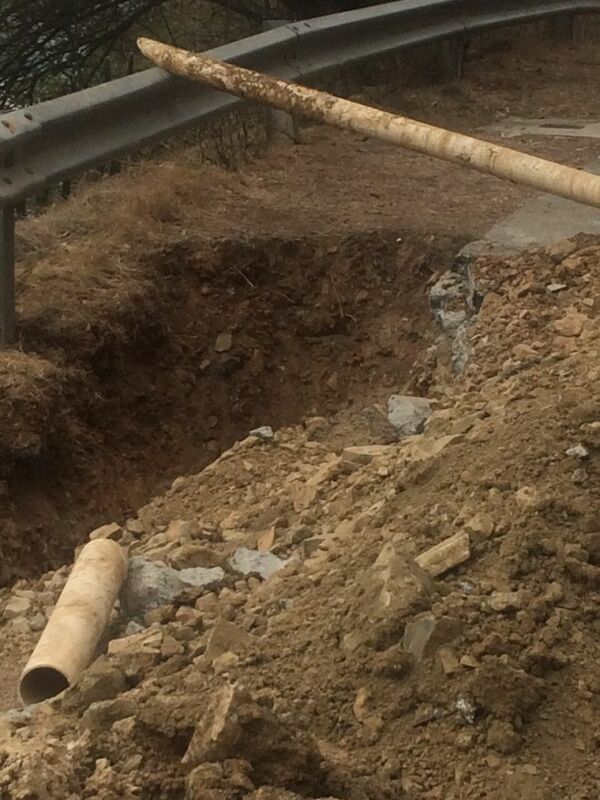 We were also unable to reach personnel from the Water and Sewerage Department on the issue. Callwood had said that as a result of no water he was losing business and had expressed the hope that action would be taken to bring the situation to an end. “I own several businesses in White Bay and also in Great Harbour and we have been without water for days,” he had said. He noted that some workmen came on July 27, 2015 and did not return like he had expected them to in order to complete the work. “They got the road already cut up and stuff like that. 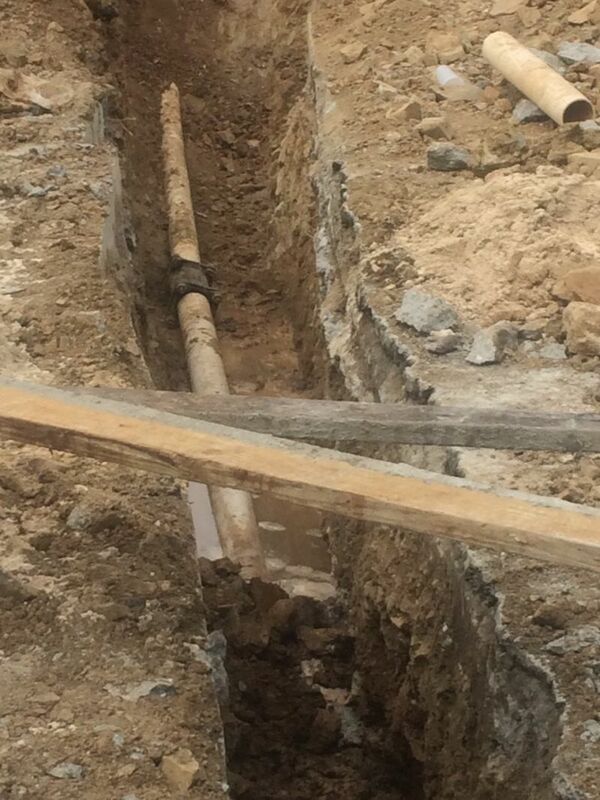 What I gather from them is that [the person in charge] refused to give them the length of pipe that they would need to finish the work. I took two of them who worked late to Tortola hoping that they would come back. We called this person and he said that he is not sending the men back today,” according to Callwood. “We are suffering without water…we have businesses and we need water," he said when speaking to our newsroom a few days ago. Nevertheless, water has been restored and while Mr Callwood is happy for that he is hoping that in future such disruptions be urgently rectified and that at least something is communicated to those affected. Never happened under alvin's watch. Haven't seen him since elections.